Consciousness depends on the brain’s ability to distinguish between self and other. All living creatures experience some degree of consciousness. 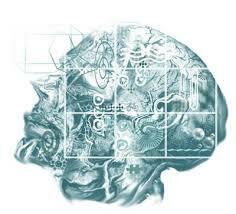 To be conscious, an organism must have the ability to sense and decode information. And, the brain must be able to process information, and to store it in memory. Living creatures, including humans, have evolved different degrees and methods of consciousness, forced by the necessity to adapt to changing environmental and cultural conditions. In addition, the brain is able to acknowledge certain parts of itself, as well as its overall identity. This is known as self-consciousness. Self-consciousness is probably as old as our ability to use symbolic language. Identity refers to the I or Me, which the brain recognizes as Self. I or Me may be defined as an interconnection of high-order brain functions that plan and manage the larger details of survival. For a self-conscious identity to emerge, there are specific criteria that must satisfy a set of initial conditions. There must be a critical number of individual nerve cells or neurons present in the central nervous system. There must be strong connections between individual neurons and groups of neurons which are dynamically interlinked with one another, providing a network of associations. And nerve cells within the network must be able to exchange information, to influence one another, not just route information from one place to another. This internal feedback system of the brain, the inputting, modifying, and outputting of information between neurons, provides the basis for simple forms of memory and learning. The ability of the nervous system to shut-down periodically in order to refresh or reconfigure the brain, such as in the state of REM dreaming, may be a necessary condition for an emerging identity. Another condition is that some form of language or symbolic reasoning is present which can describe external events which occur in three dimensional space over time. Perhaps a synchronous timing mechanism is required which can combine separate bits of information into a single perception. The ability to recognize paradox, to discriminate ‘right’ from ‘wrong’, may be a condition for self-consciousness. And some form of error-correction may be a necessary condition. 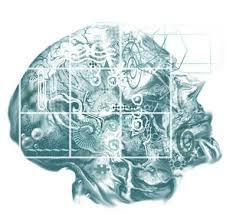 Finally, for a complex system to become an individualized consciousness, it must also contain a planning function. It must be able to manage different regions and groups of activities nearly simultaneously. Stimulation of the brain produces neurochemical impulses that trigger on-off signal responses. When a brain cell, or neuron, is in the ‘on’ state, a wave impulse travels along the nerve fiber to its end, where it releases a chemical known as a neurotransmitter. The neurotransmitter travels across a synapse, or tiny gap, to another nerve fiber, which in turn causes a new signal to fire. This pattern of firing continues until a particular circuit is complete within the brain. The chemical process which occurs at the synapse dramatically slows down the transfer of information, and is responsible for the delayed time reactions in our thinking and motor response. The brain perceives events as random when it cannot distinguish a coherent pattern of activity. Groups of neurons within the brain are not hard-wired. They often produce unpredictable or ‘random’ associations, based on the synaptic activity that occurs at every level of neurological organization. These chemical inconsistencies provide flexibility at the higher levels of consciousness in the form of cognitive choices and variants, as well as confusion and indecision. In addition to humans, animals, and plants, other complex systems appear to have a unique character, personality, or even consciousness. If the necessary requirements are present within a system, then there is no reason why it could not express some form of consciousness, if not self-consciousness. It is possible that the exchange of information within a system may occur in a series of feedback loops at a large scale of organization, or within each cellular unit at a small scale of activity, or both. Artist Ron Wallace has suggested that large interactive systems may exhibit a form of consciousness that would be too grandiose to be perceived at the human scale, or for their effects to be recognized as a state of consciousness. Certain systems which may satisfy the necessary requirements are large communal networks such as cities or nations, large environments including the biosphere and the ecosystem, or astronomical bodies such as the solar system or galaxies, to name a few.